On Friday I met two friends of mine who always but a smile of my face, Maria and Donagh and we went for a sneaky pint to Neachtains which is one of my favourite places in Galway. I really enjoyed meeting up with them and I'll be honest it put a big smile on my face to see them both. Then I got a text from a wonderful friend of mine from home Sarah who I considered an adopted sister for years along with the other scallywag Marie. She too was in Galway with her very lovely other half Rossa who I hadn't met before. So we also went for an afternoon pint in the sunshine in Galway. Anyone who has ever been a resident of Galway will know that an afternoon of sunshine in Galway can be very hard to beat. Everyone is always so happy to be here! Then on Saturday it was my friend's birthday. So Siobhan and I decided to make a cake. A guitar cake! I do have photos but my silly laptop charger has died so I can't us my laptop at the moment to upload the photos :( I will show you soon. But before we could finish the cake. I got a phonecall to say that some friends of mine were in Neachtains if I fancied joining them. I was soooo excited! I hadn't seen Billy in a long long time (bar maybe 20 minutes at a 30th earlier in the year) nor had I met his very lovely other half Noel. So Siobhan got left with the remainder of the cake and I got to meet the boys! How one weekend fitted so many friends I don't know. It was fabulous! 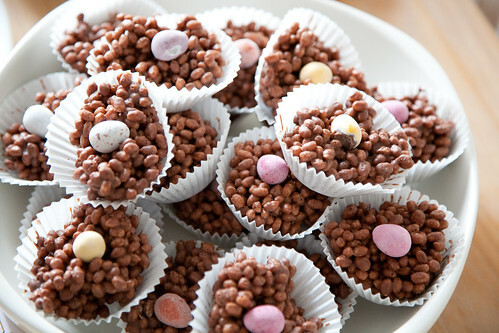 And we got to go to Tom's birthday party afterwards which introduced me to rice krispie buns with marshmallow. Genius. On Monday I read a message from James' brother's girlfriend (are you with me?) to say that they are hoping to come visit in a few weeks! I am so excited! I loved when they came last time! They are so so nice! Also, his sister Margaret sent an adorable photo of her little kiddies wearing some stuff we sent over in a parcel. It has gotten me even more excited about or impending move to Scotland! Then last night I got to spend time with two of my amigos who I will miss terribly when I leave. Mandy and Carolan. But we have decided on regular visits so I will probably see them more then than I do now!